UW-Madison Police Department officers use Body Worn Cameras (BWCs) for all contacts with the general public. The cameras are a valuable tool to ensure the best possible customer service on behalf of our officers. 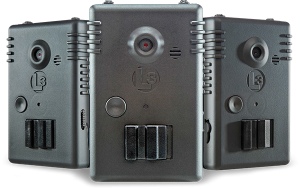 The cameras can also assist the department with cases, disputes, and/or complaints that need investigation. Through a series of community forums and other communications, UWPD developed a BWC policy that we believe strikes an even balance in terms of public safety and privacy. View the current UWPD BWC policy. When Do UWPD Officers Use Their Body Worn Camera (BWC)? Officers are to activate their BWC to record all contact with citizens in the performance of official duties. Will I Know I’m Being Recorded? Whenever possible, officers should inform individuals that they are being recorded. In locations where individuals have a reasonable expectation of privacy, such as a residence or medical setting, they may decline to be recorded unless the recording is being made pursuant to official law enforcement duties. What Happens If The Officer Forgets To Turn Their BWC On? If an officer fails to activate the BWC, or an interruption in recording occurs, the officer will document the reason for the failure to start, interruption or termination of recording in a report. If an officer feels it is necessary to stop recording (e.g., talking to a victim, or a confidential informant) within constraints of the BWC policy, the officer will verbally indicate their intent to stop recording before stopping the device and upon reactivation of the camera, state that the camera was restarted.